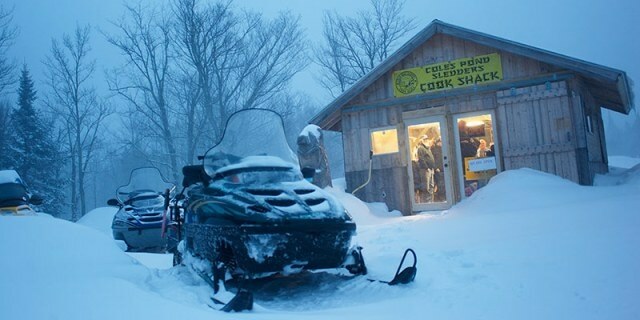 Declining snowfall in Vermont, a likely byproduct of a warming climate, is sure to negatively affect the state’s $600 million snowmobile industry. New research provides a sobering look at just how much. A significant part of Vermont's snowmobiling appeal lies in the state's interlocking network of trails, which allow snowmobilers to cover large geographic areas, said Robert Manning, a natural resources professor at the University of Vermont and lead author of the study, which is based on an online survey of 1,450 members of VAST, the Vermont Association of Snow Travelers, in November and December of 2015. The survey results were presented at a meeting of the Northeast Recreation Research Symposium in Annapolis, Maryland on April 4. “If connections between trails are lost, even if there’s sufficient snow cover in pockets of the state, participation rates could decline sharply,” he said. Once the percentage of Vermont trails that are open drops below about 65 percent, snowmobilers will begin to stay home, according to the survey. With about half the trails open, participation would drop 25 percent. With 10 percent open, the participation rate would decline by 75 percent. Another troubling fact to emerge: 70 percent of snowmobilers surveyed said they began their snowmobile rides from their homes, a convenience that relies on good snow cover. 31.2 percent reported that having to drive to snowmobile trails would detract “a great deal” from the experience. Days of snow cover were also a significant detractor; with fewer than 75 days of cover, participation rates began to decline. With 25 days, rates would decline by 50 percent. Declining snowfall in Vermont at the normal elevations of most snowmobile trails has already occurred and is likely to continue in coming years. During the 1960s, the average snow depth for winter (December to February) was six inches, according the statistics compiled by the National Weather Service at the Burlington International Airport, but has been closer to four inches during the last decade, the lower limit for snowmobiling. Over the past two decades (from 1995 to 2014), Vermont has experienced the highest winter temperatures observed in the historical record, according to the National Climate Assessment Summary for Vermont. Vermont’s temperatures are projected to rise by another 2 to 3.6 degrees Fahrenheit by 2050, according to the Vermont Climate Assessment, making further diminution of average snow depth likely. Regular grooming of trails was one of the most significant factors survey respondents cited as defining a quality snowmobiling experience.